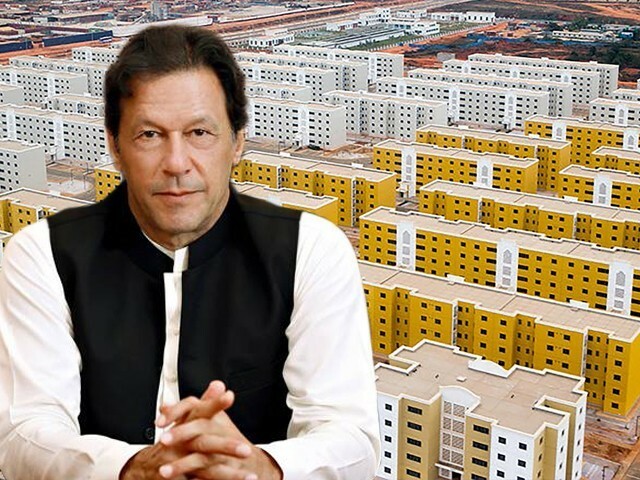 The Naya Pakistan Housing Scheme is a great initiative, but can it survive the curse of corruption? More than 125,000 forms have already been downloaded from the NADRA website. In keeping with the theme of ‘change’, the Pakistan Tehreek-e-Insaf (PTI) government recently launched the Naya Pakistan Housing Programme, aiming to build five million homes in five years. It is evident from the very start that a project of this magnitude will require a lot more input than just land, which the government will be providing. And while they say they will not be involved in construction directly, arranging funds to provide basic amenities to residents alone will be a herculean task. We have launched our most ambitious, landmark housing policy of building 5mn homes in 5 yrs. InshaAllah this will provide affordable houses for our less privileged strata of society, plus 6mn jobs, create demand in 40 industries directly involved in house building & attract FDI. 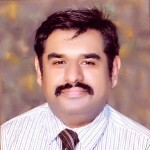 Though there is no clear framework yet and there remain more questions than answers at this stage, the scheme has managed to generate enormous public interest, as more than 125,000 forms have been downloaded from the National Database and Registration Authority (NADRA) website, temporarily affecting the site itself. The project, which was initially launched for seven cities, has now been extended to 10 more cities in Punjab. Detractors are of the view that this is just an announcement, and that nothing concrete will take place over the years. The biggest criticism thus far has been towards the fact that the funds-starved government does not have the budget to initiate this scheme. Although the state has remained mum on budgetary matters, the amount of $180 billion has been suggested, which of course seems unfeasible and unrealistic. Provincial Housing Minister Mian Mahmoodur Rasheed also revealed that this project will be a public-private partnership. A land bank will be created through which the government will provide land to builders, who will then be responsible for constructing the houses. Concerns have subsequently been raised over the transparency and monitoring of the construction, to ensure no money is set aside by compromising on the quality of the construction. In my view, the launching of this initiative is a step in the right direction, but the road is full of bumps and obstructions. Cuba, Norway and Singapore are the only countries in the world to have successfully launched public housing schemes, but they did so roughly four decades ago, and their population is significantly low in comparison to Pakistan. India has a ‘housing for all’ initiative and has set a target for the year 2022, with over 1.7 million houses getting a nod from the central government. If our government is serious in carrying its initiative forward, it can either follow the pattern of one of these successful efforts or can come up with its own footprint to complete this scheme. Within Pakistan, we have limited success stories when it comes to the public housing sector. In Karachi, for instance, the government built houses for employees of the federal government in the 50s, now known as the Federal B Area and Buffer Zone. The former got its name because ‘B’ class residential apartments were built for the lower grade staff, while the latter was called so because it acted as a buffer between the housing scheme of upper and lower grade employees. Unfortunately, Pakistan’s ratio of mortgage financing to gross domestic product is extremely low, at 0.25%, especially when compared to the South Asian average of 3.4%. The government will thus have to revise banking rules and provide easier ways to obtain financing facility. Our banking rules for common people are so stringent that in order to obtain a bank loan, people feel they have to prove they don’t really need one. However, housing finance is a safe bet for any bank, and I am confident that banks involved in this project will get their instalments paid on time, depending on how thorough the investigation is before sanctioning the required loan. The House Building Finance Corporation (HBFC) should also be involved in the financing of these houses. HBFC was an active lender in the housing sector for decades, but it seems the public has now lost trust in this institution. However, its involvement will boost this scheme and may provide the impetus required for such a mega project to succeed. Other than constructing the houses, there is the matter of providing gas and electricity. In this regard, alternate energy methods such as solar and wind should be considered for electricity, and liquefied petroleum gas (LPG) for cooking purposes. Such alternative options are being used by many new projects in big cities domestically, and in an energy-deprived state with a budding population, these inclusions could make a positive impact. Yes, if this project bears fruit it will indeed not only provide housing but also millions of jobs, but it must be noted that this is a long-term project which will ultimately require more than five years to truly complete, which is why protecting the scheme via laws is also essential so that future governments carry it forward instead of rolling it back. Irrespective of the project’s success or failure, PTI’s government will do a great favour to this nation by keeping this scheme transparent and corruption free, which has always been a problem in the past. Political leaders have suffered and faced the court of law due to corruption done through mega projects such as these. In 1987, former prime minister Mohammad Khan Junejo launched the ‘Apni Basti’ scheme to build 130,000 low-cost houses, but ended up constructing only 35,000. The scheme had many mistakes, including ill-suited locations, poor pricing, a lack of basic amenities, and of course, the end of Junejo’s tenure. The most relevant example is the investigation and arrest of Shehbaz Sharif due to his alleged involvement in the Ashiyana housing scam. For the sake of its anti-corruption narrative alone, the PTI government would not want Imran Khan to face a corruption trial five years from now. The PTI government has stated that Junejo’s effort failed because construction was initiated without evaluating demand, which will not be done in the new scheme where demand will be assessed first, thus the forms. Further, in the past, it was the state that took responsibility of construction, which also led to uncleared dues that affected the project. This will also not be the case here, as contractors will not be paid by the government but by the banks and non-bank financial institutions (NBFIs) who are to finance this scheme. In Pakistan, builders and developers have built a large number of housing schemes for private gain; this is now a test for them to build low-cost housing projects on land provided by the government. In Karachi, for instance, the recent development of Gulistan-e-Jauhar and its adjoining areas is a prime example of fast track development. Fast developments in such areas are an encouraging factor for the government, which can take heart from the fact that if the private sector alone can build houses and convert deserted areas into developed and commercial ones, then with public-private partnerships the potential for development is unimaginable. If everything goes to plan, people may actually get a decent living facility at low cost, while development may be more symmetrical across the country. PTI has always showed its displeasure over mega projects launched by its predecessors. Now that it has initiated its own as part of the government, there seems to be a realisation that not only do such initiatives bring along human development, they also lure supporters and enhance approval ratings – but only if they appear to be fiscally sound. It is thus in the best interests of the state to reveal a detailed, clear and precise plan in order to keep the process transparent and the public up-to-date. If they manage to do so, I remain optimistic that the strategic differences possessed by the Naya Pakistan Housing Scheme will prove decisive in the success of this scheme.